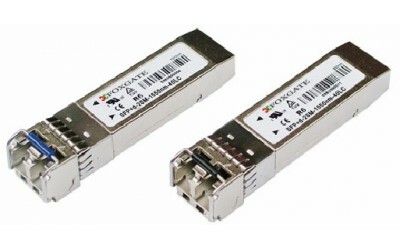 CWDM SFP+ 2SM-xxxxnm-10LC – transmit-receive modules of SFP+ form factor. They are intended for arrangement of high-speed duplex connections. 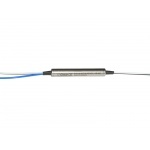 They are developed for technology of Coarse Wavelength Division Multiplexing (CWDM) and operating with rates of 9.95/10.3 Gb/s. 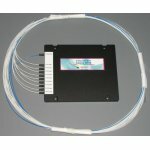 They are produced for CWDM lengths of waves (1270-1330 nm, 1470-1610 nm) and maintain digital diagnostic function (DDM). Modules correspond to IEC-60825 requirements. 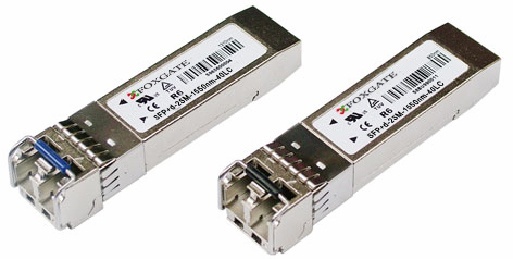 These SFP+ modules support unique technology of digital diagnostics that in real time allows tracking parameters of device operation, like: operating temperature, Laser current deviation, radiated optic power, received optic power, as well as alarm system of the overrun parameters. 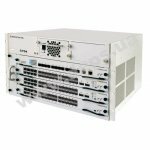 High-performance modular switch FoxGate C704 on the basis of the chassis with 4 line card slots. Can be equipped with one or two managed cards, and 3 or 2 work cards. It should be noted that on the managed cards can be a large number of working ports that can perform the same functions and the same tasks as the ports on the work cards. This possibility can greatly improves the performance of the device.